Continuing my gradual process of re-immersion…. I suspect that, for many of us, the summer is a time to redeem all those promissory notes: to devise a new research and writing schedule, free of term-time commitments, to turn notes and drafts into a finished essay, chapter or book; and – this I don’t suspect, I know – to issue even more promissory notes (‘I will get it to you by the end of next month…’). But it’s also a time for more or less uninterrupted reading, catching up with stuff for research and for teaching, but also – this I also know – as a distraction from all those promissory notes. So here’s my preliminary list which is also intended to answer the perennial ‘Have you read anything interesting lately?’ question. As I explained here, under this heading I list stuff that is catching my attention at the moment – sometimes with a brief annotation, sometimes not; sometimes hot off the press (or, appropriately enough, the Kindle), sometimes something I really should have noticed an age ago…. And I promise to try to do this more often in future. I’ve excluded all those books I’ve already trailed, but I must make one exception: my copy of Forensis was waiting for me on my return – ordered from the excellent Book Depository (‘free delivery worldwide’ – and incredible fast too) – and it is sumptuous. As soon as I’ve finished this post, I’m off to the deck with a drink to continue reading it. Richard Adams and Chris Barrie, ‘The bureaucratisation of war: moral challenges exemplified by the covert lethal drone’, Ethics & Global Politics 6 (4) (2013) 245-60 – I’m thinking about this in relation to my essay/chapter on ‘The God trick and the administration of military violence’, which is a detailed analysis of the Uruzgan air strike: ‘administration’ here has its double meaning, for which I am as always deeply grateful to David Nally who first alerted me to it (in the radically different context of the Irish Famine). 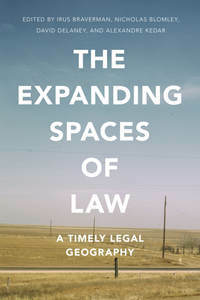 Irus Braverman, Nicholas Blomley, David Delaney and Alexandre Kedar (eds) The expanding spaces of law: a timely legal geography (Stanford University Press, 2014) – essential reading, important not least for Michael Smith on ‘the geolegalities of the Afghanistan intervention’; it’s taken legal geography a surprisingly long time to address international law, no? I sometimes think that if I had realised the intellectual firepower of critical legal scholarship (especially in relation to international law) and its intersections with critical human geography years ago, I would have followed a radically different career path. 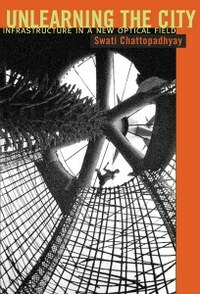 Swati Chattopadhyay, Unlearning the city: infrastructure in a new optical field (Minnesota, 2013) – this is a truly lovely book, bursting with ideas, but I’m trying to ‘reverse-engineer’ some of them: Unlearning the city is about subaltern groups re-working established urban infrastructures, and I want to transport this to Baghdad as I re-think what I once called ‘the counter-city’ and to explore other insurgent practices…. 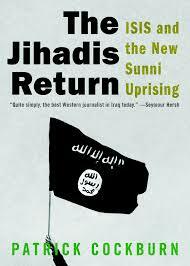 Patrick Cockburn, The Jihadis Return: ISIS and the new Sunni uprising (OR Books, 2014) – as I try to keep up with events in Syria and Iraq for The everywhere war, Cockburn’s reports from Baghdad are as lucid and indispensable as they were for The colonial present. Jean Comaroff and John Comaroff, Theory from the South: or, how Euro-America is evolving toward Africa (Paradigm, 2012): I read this last year, and always learn so much from these authors; but with the Johannesburg Workshop in Theory and Criticism travelling around South Africa at the moment (‘Archives of the Non-Racial’ this year, and you can check out previous presentations and productions here) it’s a good time to re-visit and re-think what I thought I’d learned. J. Martin Daughtry, ‘Thanatosonics: ontologies of acoustic violence’, Social text 119 (32 ) (2014) 25-51 – I’ve noted the importance of the sounds of war on several occasions, here and here and (on sound-ranging) here, and incorporated some of that into my discussion of the corpographies of the Western Front in ‘Gabriel’s map’ (DOWNLOADS tab), but this is a must-read essay both for its general argument and for its compelling discussion of the thanatosonics of the US-led war in Iraq. Rosalyn Deutsche, ‘Un-War: an aesthetic sketch’, October 147 (2014) 3-19 – a characteristically clear and though-provoking reflection on Krzysztof Wodiczko‘s Arc de Triomphe: World Institute for the Abolition of War (see my post here). A welcome change from the preachiness of peace-talk in some quarters. Isla Forsyth, ‘Designs on the desert: camouflage, deception and the militarisation of space’, Cultural geographies 21 (2014) 247-265 – an exquisitely written account of the camoufleurs in the Western Desert in the Second World War, which I’m drawing on for the long-form version of ‘The nature(s) of war’ (one of my promissory notes). 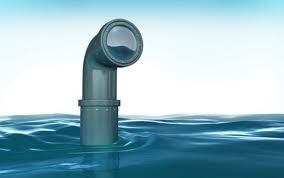 John Bellamy Foster and Robert W. McChesney, ‘Surveillance Capitalism, Monopoly-Finance Capital, the Military-Industrial Complex, and the Digital Age’, Monthly Review 66 (3) (2014) available as a pdf here. 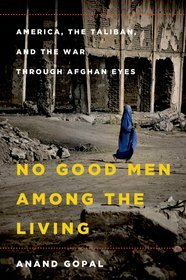 Anand Gopal, No good men among the living: America, the Taliban and the war through Afghan eyes (Metropolitan Books, 2014) – see Juan Cole‘s commentary here. Marie-Hélène Huet, The culture of disaster (University of Chicago Press, 2012) – a brilliant genealogy of disaster from the Enlightenment to the present: I’m particularly taken by the final chapter, ‘Now playing everywhere’ (not least because I think war is a disaster too). 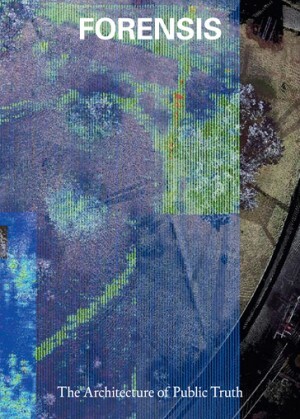 John Kaag and Sarah Kreps, Drone warfare (Polity, 2014) – a philosopher and a political scientist join forces; no shortage of books on drones on the way, but this is likely to be one of the very best. If you haven’t seen it, their NYT Op-Ed from 2012, ‘The moral hazard of drones’, is here. Laleh Khalili, ‘The uses of happiness in counterinsurgencies’, Social text 118 [32 (1)] (2014) 23-43 – another artful, spellbinding essay from our most accomplished critic of counterinsurgency. Jason Lyall, ‘Bombing to lose? Airpower and the dynamics of coercion in counterinsurgency wars’, available here – yet another forensic account from one of the most astute analysts in contemporary political science; it’s the lead chapter from his book-in-progress, Death from above: the effects of air power in small wars. Robert Marzec, ‘Militarized ecologies: visualisation of environmental struggle in the Brazilian Amazon’, Public culture 26 (2) (2014) 233-255 – more than anything I’ve read in an age, this has helped me re-think the implications of my work on ‘The nature(s) of war’ for contemporary military violence (and also made me realise how much more I need to do); it’s remarkably modest in tone and temper but it’s also theoretically sophisticated and written with a power, imagination and clarity that is wholly enviable. Its opening epigraph is an extraordinary remark from US Admiral T. Joseph Lopez: ‘Climate change will provide the conditions that will extend the war on terror’…. Discuss. Jürgen Osterhammel, The Transformation of the World: A Global History of the Nineteenth Century (Princeton University Press, 2014) – with its chapters on Space, Mobilities, Frontiers, Networks and much (much) more, David Cannadine suggests that this acclaimed panoramic survey by ‘the Braudel of the nineteenth century’ is the one work of history to read this summer and, he adds,’believe me, it will take you all of a very long summer’. But why no illustrations? Ann Rogers and John Hill, Unmanned: drone warfare and global security (Pluto Press, 2014). Kristin Bergtora Sandvik and Kjersti Lohne, ‘The rise of the humanitarian drone’, Millennium (online first: 27 June 2014) – a much needed discussion of how ‘military humanism’ has become entangled with drone warfare, showing how the military conduct of remote operations may also affect the deployment of so-called ‘humanitarian drones’. 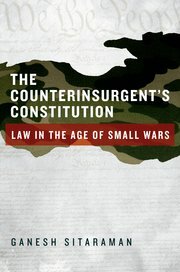 Ganesh Sitaraman, The counterinsurgent’s constitution: law in the age of small wars (Oxford University Press, 2013). Julia Welland, ‘Militarised violences, basic training and the myths of asexuality and discipline’, Review of International Studies 39 (2013) 881-902 – an immensely helpful argument that works with Avery Gordon‘s ideas about ‘haunting’ to think through the sexualisation of military violence and detainee abuse. Elvin Wyly, ‘The new quantitative revolution’, Dialogues in human geography 4 (1) (2014) 26-38 – not what you might think, and about much more than its characteristically modest title: a brilliant, just brilliant, wonderfully angry warning about the threats to a critical spatial science from the neo-liberal noösphere in which Elvin and I (and you) are embedded. This entry was posted in books and tagged summer reading list by Derek Gregory. Bookmark the permalink.